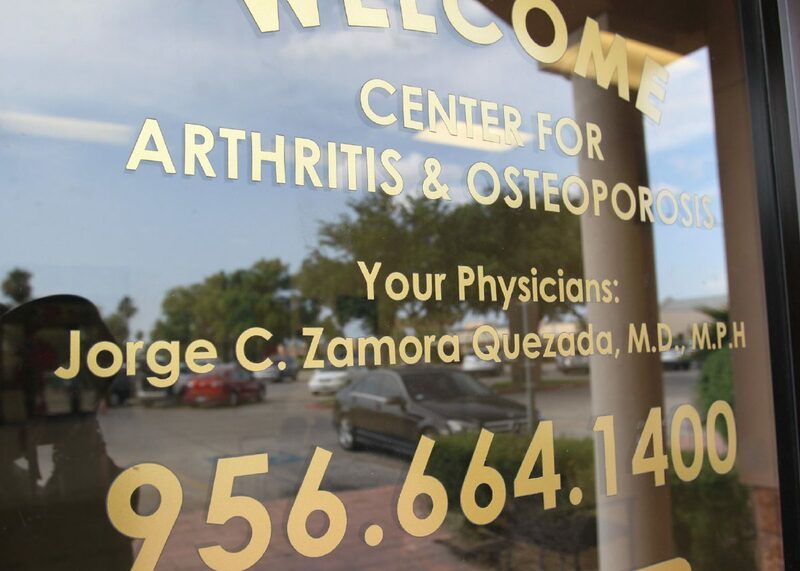 The two employees of Dr. Jorge Zamora-Quezada who were arrested Wednesday on charges related to the doctor’s alleged healthcare fraud scheme, pleaded not guilty to their charges Thursday in federal court. Estella Santos Natera, a billing supervisor in the doctor’s practices, and Felix Ramos, who helped manage the doctor’s financial affairs, were arrested Wednesday on charges listed in a superseding indictment that was unsealed later that day. Santos Natera is charged with conspiracy to commit health care fraud and conspiracy to obstruct justice, while Ramos is charged with conspiracy to commit money laundering. Magistrate Judge Juan F. Alanis granted Ramos a $100,000 bond with a $5,000 cash deposit and Santos Natera a $100,000 unsecured bond during Thursday’s detention hearing, according to court records. As part of the conditions for their release, both were ordered to remain under supervision, not violate any laws, seek or maintain employment, refrain from filing any claims to health insurers, surrender their passports, and limit their travel to the Southern District of Texas. They’re also ordered to refrain from possessing firearms or other dangerous weapons and avoid contact with co-defendants or potential witnesses. Santos Natera was specifically restricted from working in a healthcare business while Ramos, specifically, was prohibited from alcohol or drug use, ordered to submit to a mental health evaluation and/or participate in a mental health treatment program, participate in substance abuse therapy and counseling, submit to alcohol/drug testing. He was also ordered to report any transactions over $10,000 or any new bank accounts or lines of credit and prohibited from making transactions behalf of his co-defendants. The charges of obstruction and money laundering were also lodged against Zamora-Quezada and his wife, Meisy Zamora. They had already been charged with conspiracy to commit healthcare fraud in previous indictments. The couple, who are both currently being held without bond, will be arraigned on the new charges next week.